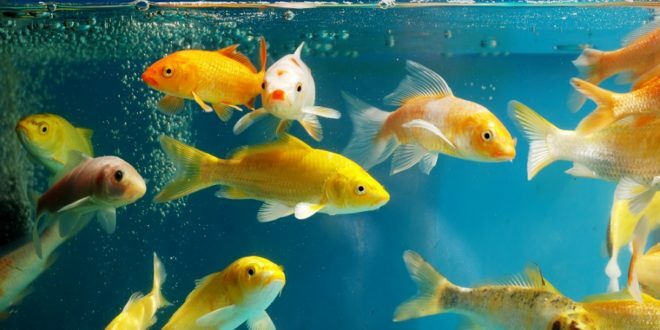 Pellets can come in a variety of sizes, but they’re still mainly for the larger fish. They come in different kinds – pond floating pellets and sinking pellets. Sinking pellets are for the bottom feeders such as Catfish, and the sizes also vary for the sinking pellets depending on the size of the catfish etc. The floating pellets are for larger goldfish and larger fish in general who are too big for flakes. Pellets contain similar ingredients to the flakes and are normally based on the fish’ natural diet but are just in a different form. There’s also Wheatgerm Sticks for during the winter for pond fish for when the water falls below 10°c. Flake fish food is disputably the easiest and most common fish food. All you have to do is sprinkle the flakes onto the top of the water where they float for the fish to eat. They’re normally for the smaller fish that are too small to eat the pellets. There’s also different kind of flakes depending on the type of fish/environment. 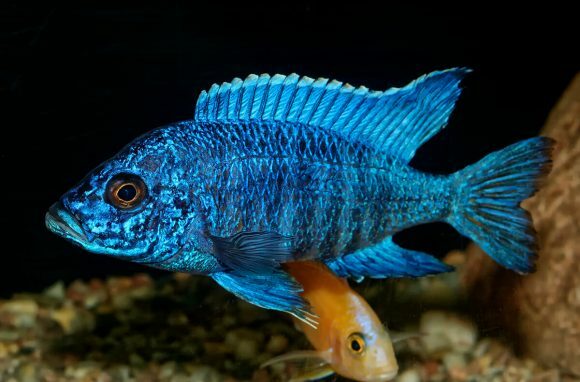 Tropical fish food is for freshwater fish like tetras or angels and marine fish food is for saltwater fish. Pond flakes are for ponds, however goldfish and cichlids also have their own fish food specifically for them. 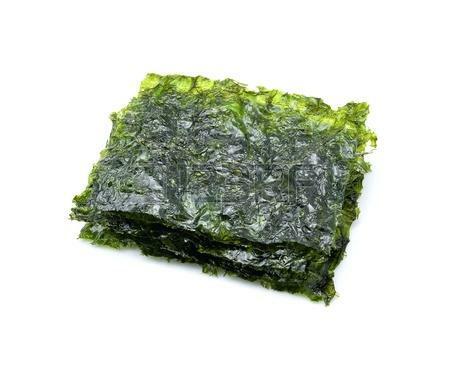 Seaweed is more of a treat than a substantial diet for fish to live off of. Some fish prefer seaweed over other healthy treats, where as some might opt for freeze-dried alternatives. Freeze-dried food can be used either as a treat or as a safer supplement for their food compared to live food that can carry bacteria and diseases. All fish should eagerly eat this treat, but feed sparingly as it shouldn’t make up the main portion of their diet. Some popular freeze-dried foods include bloodworm, river shrimp, tubifex, krill and daphnia. Just like freeze-dried food, frozen food is in its natural form. They’re normally created with special blends for certain fish in particular. Frozen fish food, just like freeze-dried fish food, should be fed as a supplement to their normal diet. Holiday blocks are dense blocks of fish food that disperse slowly over time. However, they’re often eaten within the first couple of days by the fish causing bloating. Holiday blocks work best with a small amount of fish and come in different sizes to last a range of times.